A car burst into flames on outbound I-57 near 111th Street Friday morning. 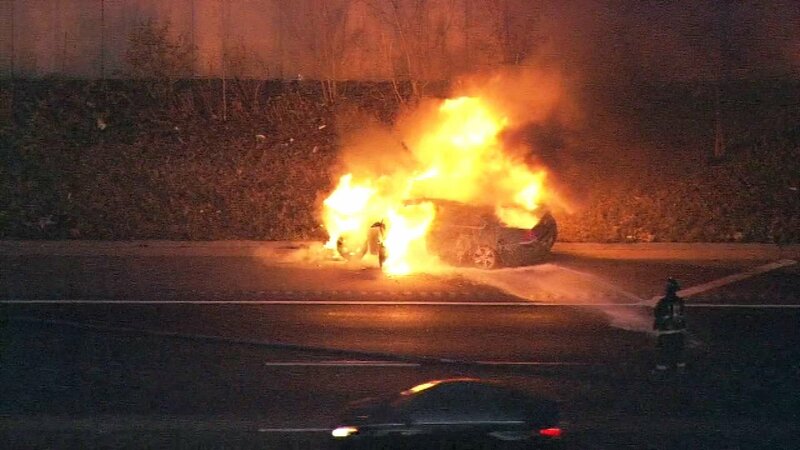 CHICAGO (WLS) -- A car caught fire on outbound I-57 near 111th Street Friday morning. Flames were seen shooting out of the vehicle just before 6:45 a.m. Crews extinguished the car fire a short time later. There is no word on the driver's condition. There were no initial reports of injuries. First responders extinguished a car fire on outbound I-57 near 111th Street.